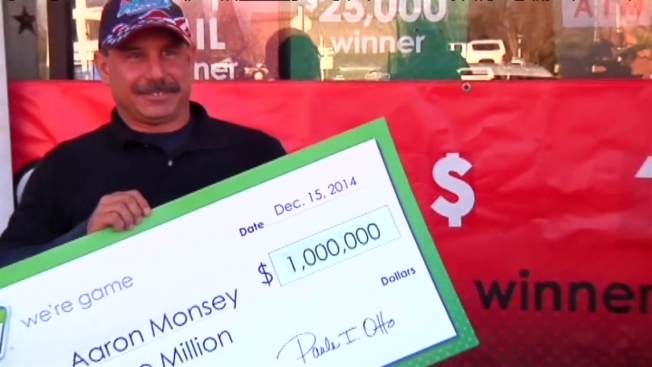 Aaron Monsey held on to a $1 million Powerball ticket for nearly six months before he decided to claim his prize. The winning ticket was sold at the Sterling Park Exxon (formerly Getty Mart) at 209 E. Holly Ave. in Sterling. The ticket matched the first five numbers of the June 21's Powerball drawing, but missed the Powerball number. When Monsey checked the numbers several days later, he said he was short on time and didn't claim his prize -- he simply went back to work as a carpenter. Monsey claimed the ticket months later, just a week before the 180-day time limit was set to expire. So why'd he hold on to a $1 million ticket for so long? "It's not enough money to retire on..."